Connecting with God always has been a driving force in Jewish tradition. Today we do it mostly through formal prayer and Torah study. Starting Nov. 2, Paula Joyce will teach a course open to the public at Congregation Shearith Israel that will help you see, feel and know God in your daily life. 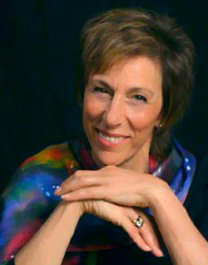 Paula Joyce, Ph.D., is a Life Coach, speaker and author. She has been teaching adults for over 40 years, was listed in “Who’s Who in World Jewry” and was the first Melton Adult Mini-School chair in Dallas. Feeling God’s presence has become more challenging in our sophisticated and intellectual society. About 20 years ago, Paula chose to visit her mother to reclaim what seemed natural in her childhood. She remembered standing in awe as her mother poured out her deepest desires and longings to the one source she knew was listening and would provide solace, even when her wishes didn’t come true in a fairytale fashion. On that visit, Paula and her mother had no deep theological conversations. Paula never even divulged the real reason she came. Merely by observing, she discovered her mother’s unfaltering connection with God. In her mother’s circle of friends, “God willing” and “Thank God” were ubiquitous. Their words were heartfelt. When they invoked God’s name, they were truly speaking to God. No matter what hardships they had experienced, they never doubted God’s presence in their lives. In those few days, Paula’s relationship with God transformed from existing only in formal prayer to being a constant in her life. As with any relationship, the more she gives to it, the deeper and more profound it becomes. That visit set Paula on a lifelong journey of discovering increasingly meaningful ways to see, feel and experience God as a positive force in her life. This path has led to profound changes and healing on the physical, mental, emotional and spiritual levels. Paula’s belief, like Einstein’s, that we live in a friendly universe, has helped her half-empty glass become overflowing. Now when things are not as she wishes, she looks for the learning and feels the greater ease provided by calling on God for guidance, strength and wisdom. Paula sees life’s difficulties as action steps that are necessary for developing the character and knowledge needed to recognize and appreciate the blessings she has asked for in prayer. Each challenge offers an opportunity to make wiser, healthier and more self-loving decisions that lead her to what she wants. Seeing the answers to prayers as occurring step by step has resulted in peace of mind and a happier, more fulfilling life. Hearing and believing the still small voice within, the part of us that can only be felt, takes trust because the logical, verbal, “I’ll only believe it if I can touch it” part of our mind speaks so loudly and so convincingly. We can get back in touch with that part of ourselves that knows God, knows the truth and holds the seed of who we really are. “Connecting with God” will enrich your life and your spirit. The weekly topics are: “Talking to God”; “Listening to and Receiving from God”; “Moving Beyond Fear, Blame and Guilt”; and “Co-Creating with God.” The sessions will be held the first four Monday nights in November (2, 9, 16 and 23) from 7 to 9 p.m. in Shearith Israel’s Fonberg Chapel. The total cost is $36. Please register by Oct. 26 with Jo at jreingold@shearith.org or 214-361-6606 to ensure that the minimum of eight participants is met. For questions, contact Paula at paula@paulajoyce.com or 972-788-2393. Additional information about Paula is available at www.paulajoyce.com.